It’s not your typical fundraiser but since it started in 2007 it has helped raise more than $75,000 for Cancer Fighters for Green Bay. 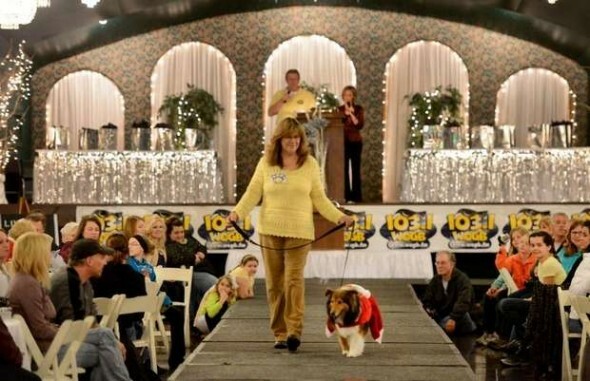 Fifteen dogs strutted down the runway the seventh annual “Paws Parade of Hope” on Sunday to raise money and awareness for the nonprofits Beacon House of Green Bay and Community Benefit Tree. It’s not your typical fundraiser but since it started in 2007 it has helped raise more than $75,000 for Cancer Fighters for Green Bay. 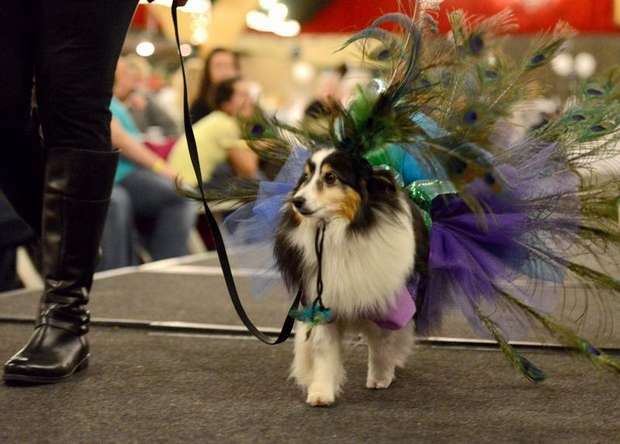 Fifteen dogs strutted down the runway the seventh annual “Paws Parade of Hope” on Sunday to raise money and awareness for the nonprofits Beacon House of Green Bay and Community Benefit Tree. These organizations provide support and resources to people with medical issues across the region and this event highlights the comfort ad help that dogs bring to people battling illness. “The event honors pets for the healing effects they add to life, especially for people battling catastrophic illness. They reach a place inside of you and provide something no medicine can. It’s that quiet comfort of them being there,” said local Cancer Fighters president Susan Gee. Gee founded the event after her close friend Linda Fairchild was diagnosed with colon cancer and found that spending time with a Yorkshire terrier made her feel better during recovery. Fairchild is now cancer-free. Some of the doggie costumes at the event included a frog, dragon, bee, and angel, and of course a dog modelling a jersey from the Green Bay Packers. Oscar, an 8-year-old Shetland sheepdog, was outfitted in an elaborate peacock costume, and 4 year old Chloe wore a pooch-sized Cinderella gown. The show also features raffles, live and silent auctions, and this year a wine auction. But it is the dogs that are the stars of the show. “Cancer is not black and white, but with every cloud there’s a silver lining,” Gee said. Diane Hanson, 58, was diagnosed in 2009 with a rare abdominal cancer and said her 2-year-old dachshund mix Isabella has helped her battle the disease and adds that the show helps demonstrate to others that support for battling disease can come from anywhere. “Nowadays, you don’t die from it,” she said. “You battle it. You live with it.” And her dog is helping her do just that. Very nice initiative. There should be more like this!